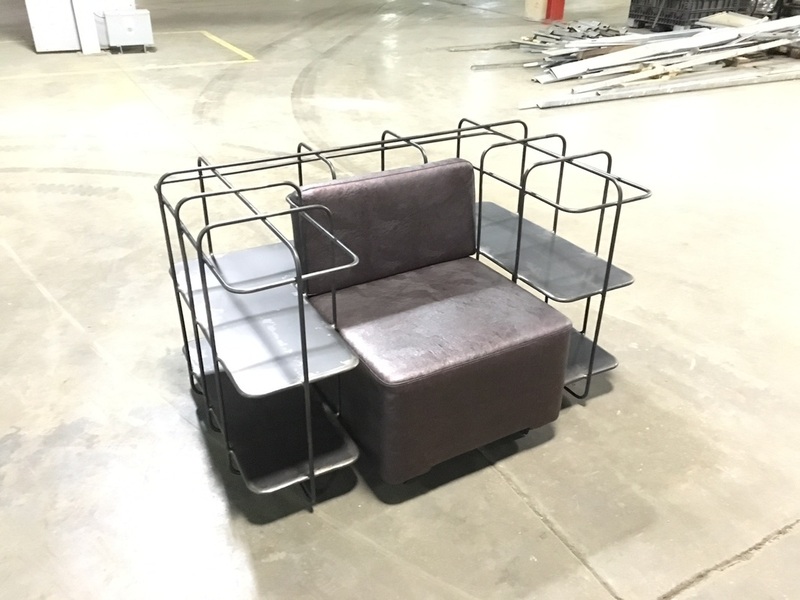 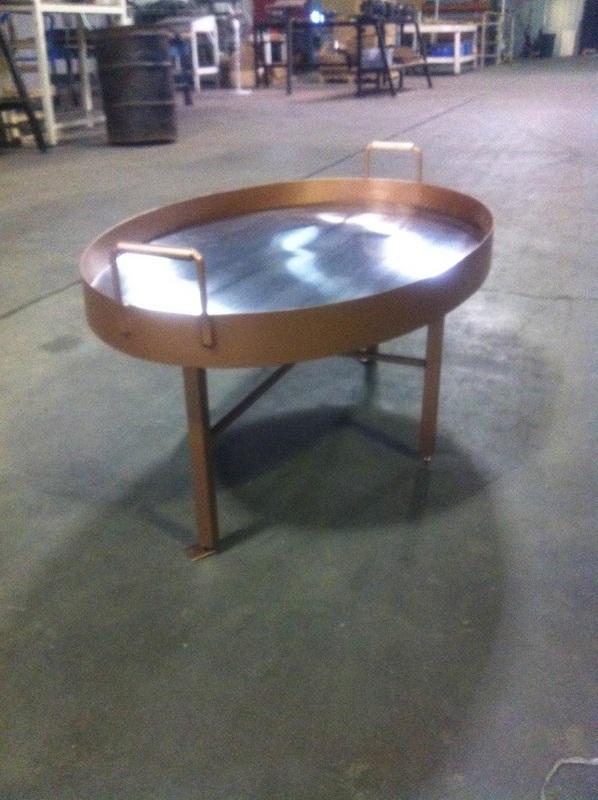 Fabrication - DG Welding & Design, LLC. 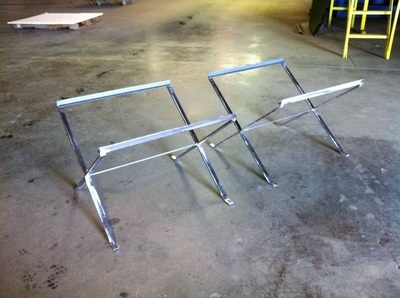 "Cinderella" side table bases made to receive a wooden top. 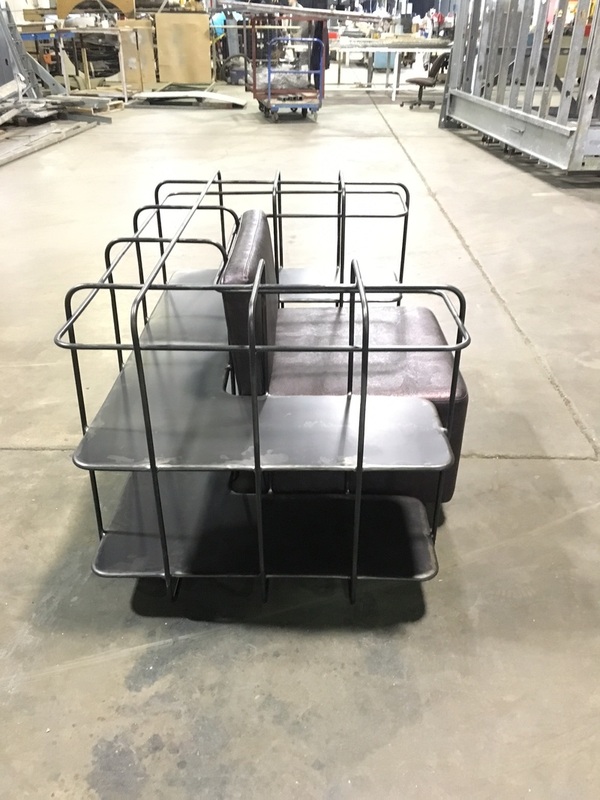 Powder coated finish. 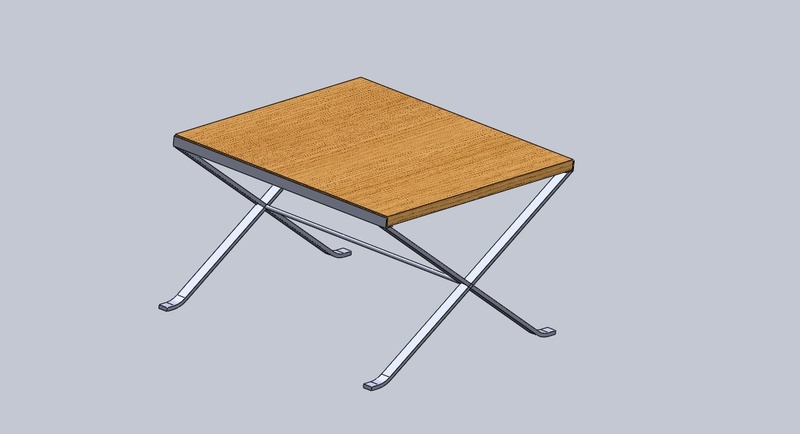 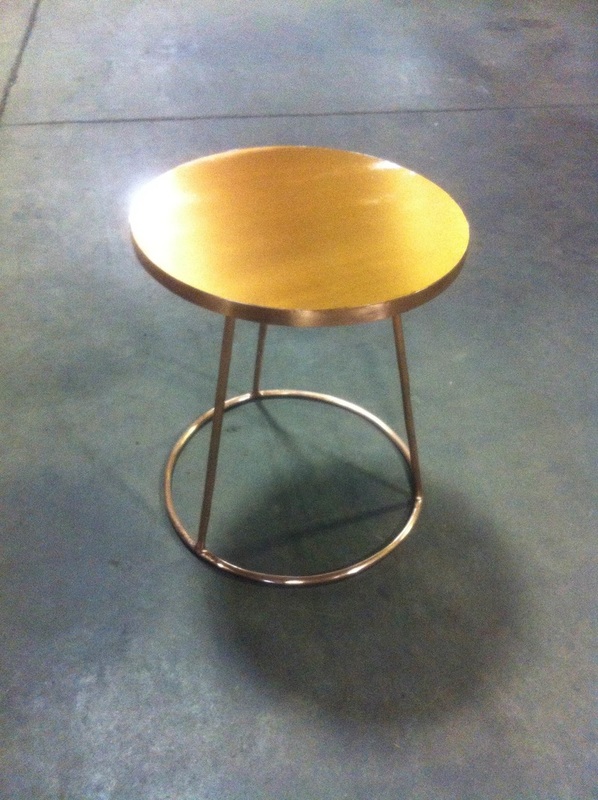 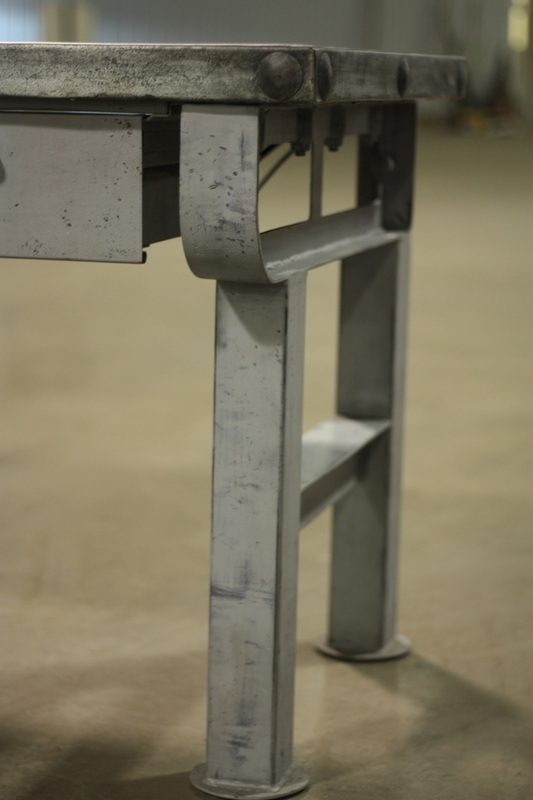 Powder coated steel table bases. 630 total in production run. 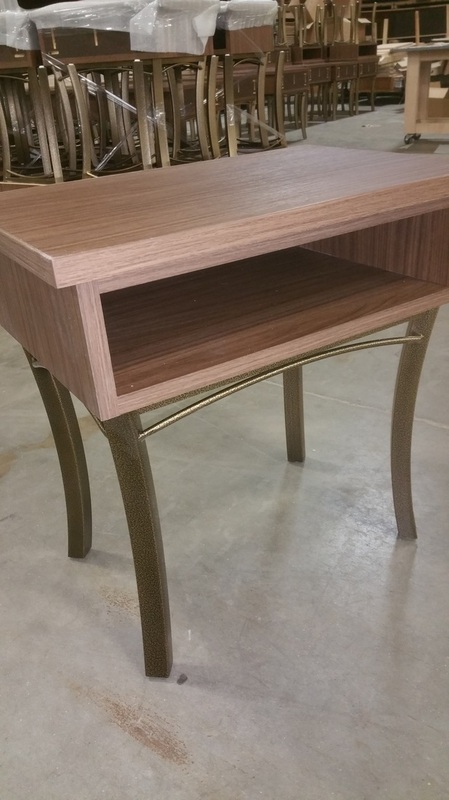 Wood components from another manufacturer. 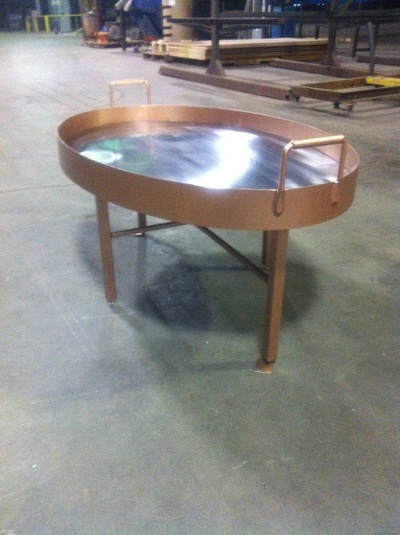 Steel elliptical tray table with powder coated finish and brushed stainless steel insert. Cooper clad steel base with Wilsonart brushed copper laminate top. 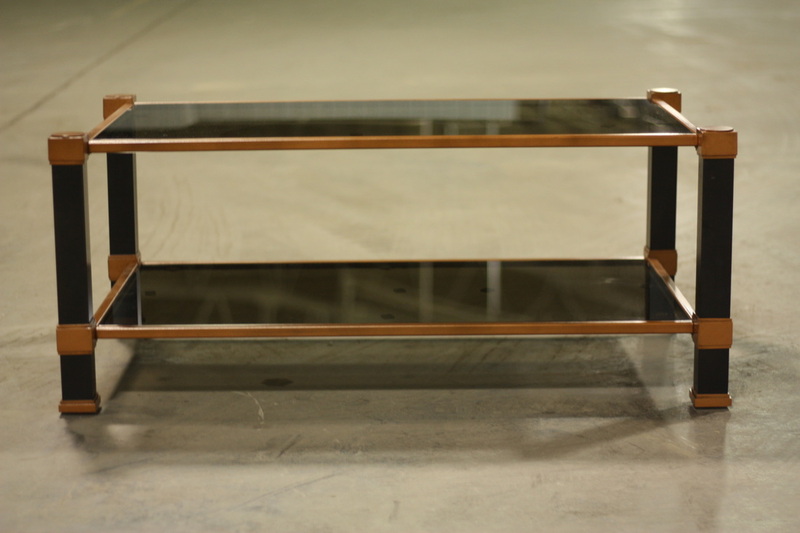 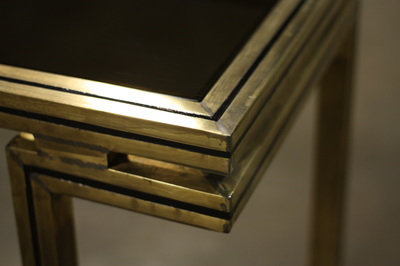 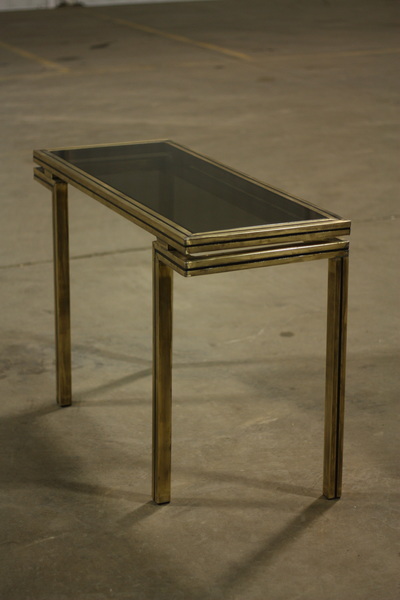 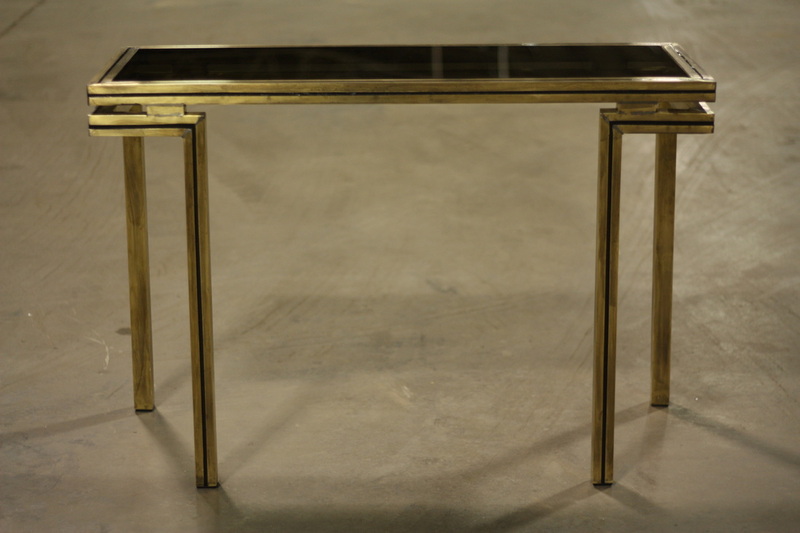 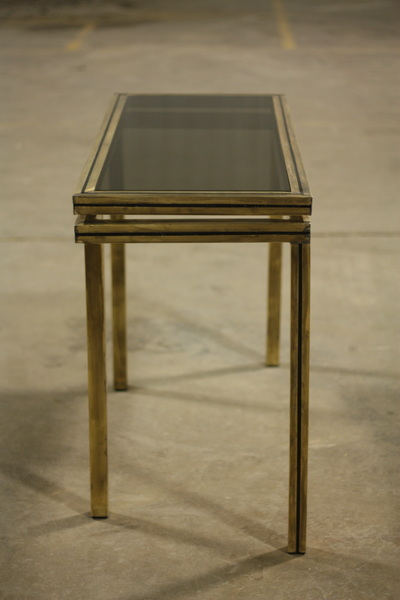 Vanity - antiqued brass base with black epoxy detailing and 1/4" smokey glass top. 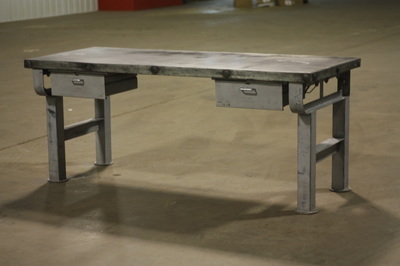 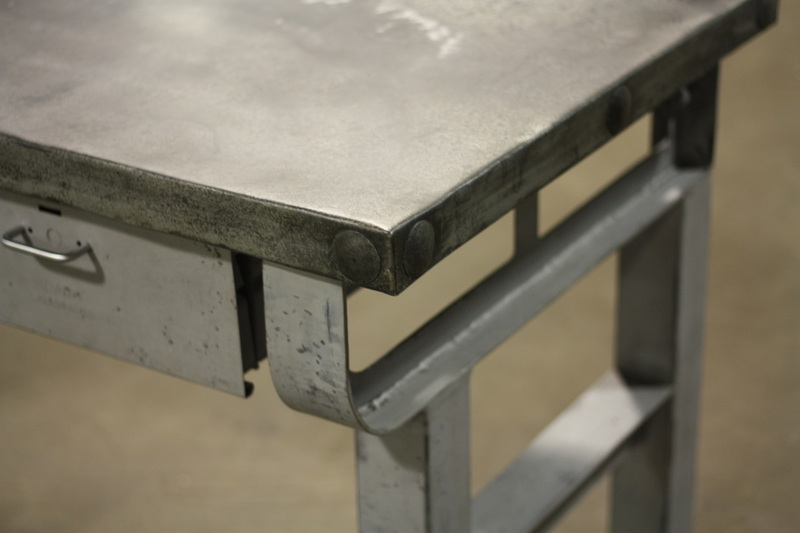 Industrial Desk - steel base with distressed painted finish, zinc wrapped top with zinc button details and patina finish. 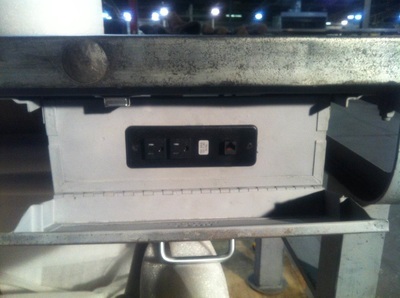 One working drawer and one drawer front concealing electrical outlet. 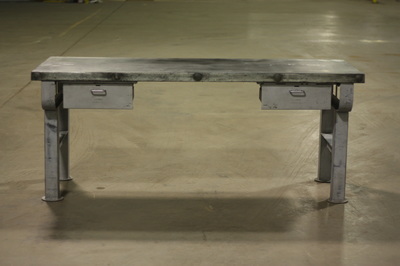 Industrial Desk - Custom fabricated "T" beam construction. 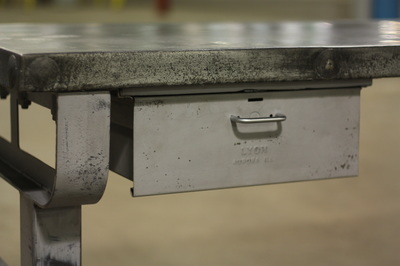 Industrial Desk - Reclaimed drawer detail. Industrial Desk - Hidden outlet and data access panel. 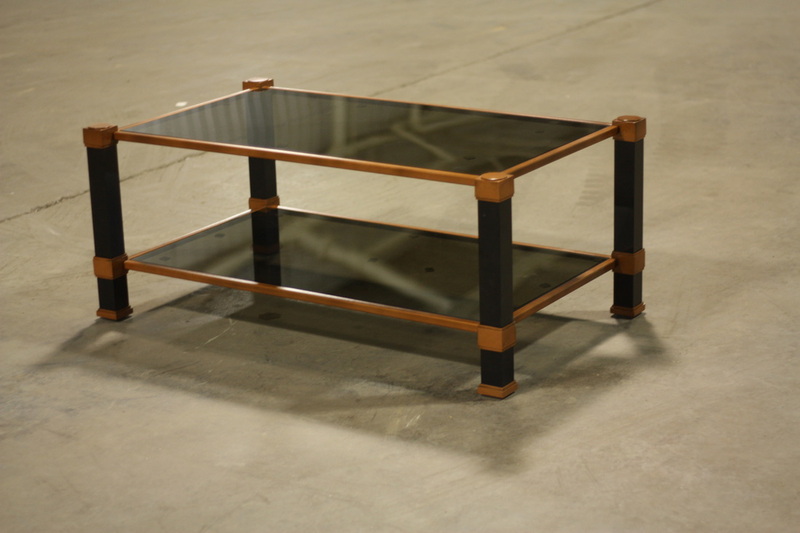 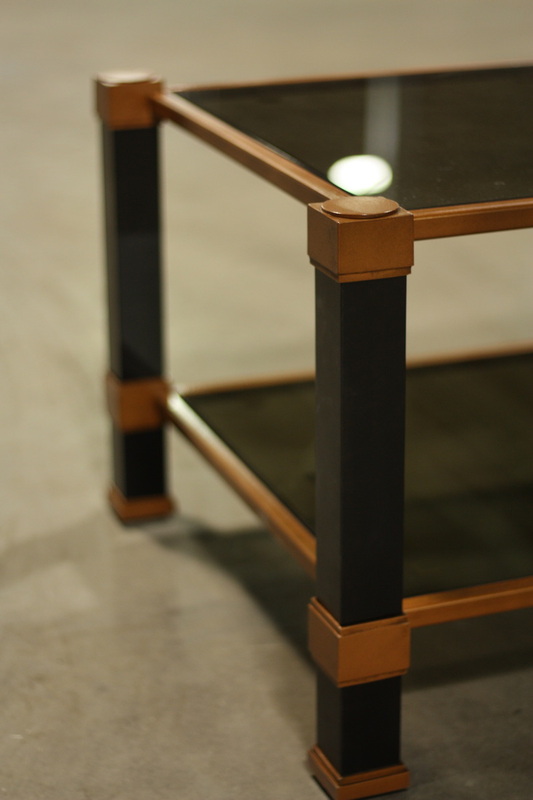 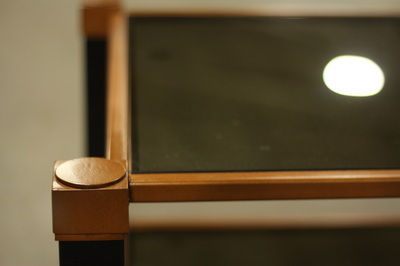 Coffee Table - Steel frame with custom "aged copper" finish. 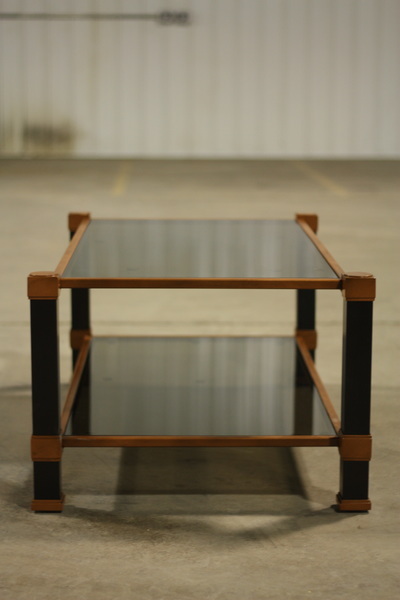 1/4" smokey tempered glass top and shelf. Wood legs supplied by others. Coffee Table - "Aged Copper" three step finish. 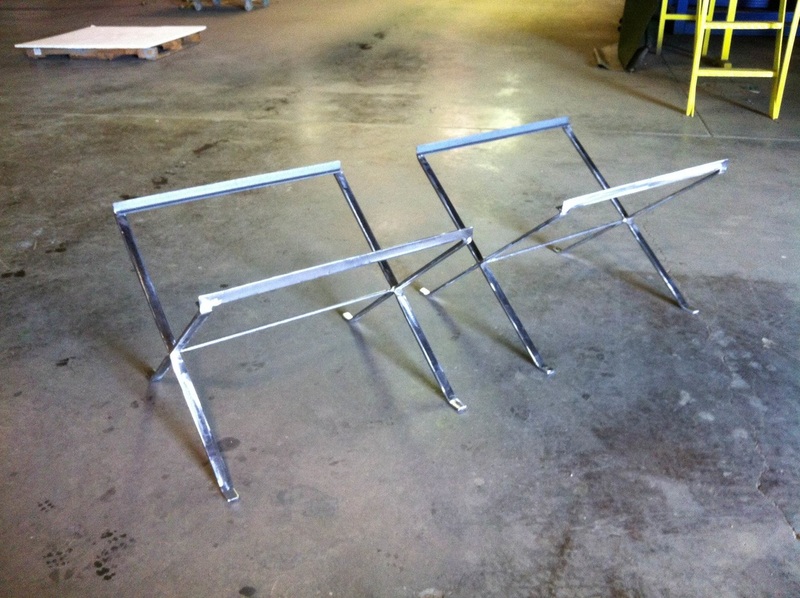 Powder coated with wet coat and clear sealant. 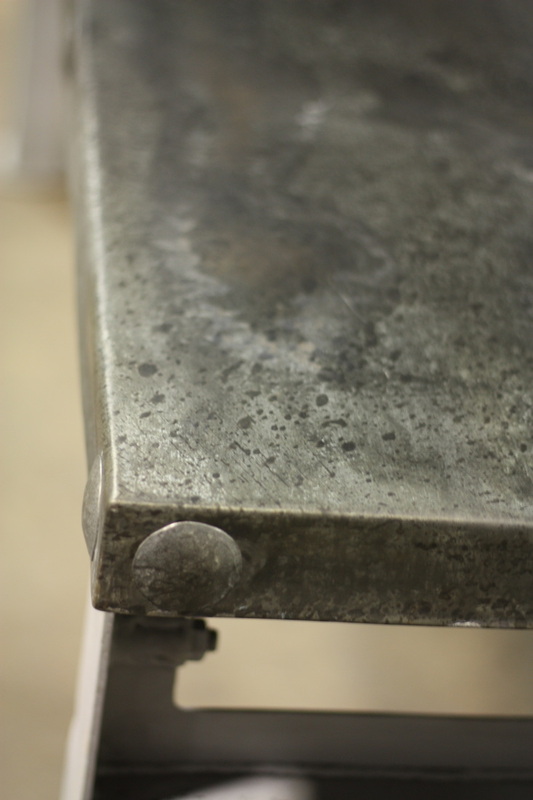 Hand distressed.